New CD releases for the year were the 5th Anniversary Edition and 10th Anniversary Edition of Best Thing to Come and Many Splendid Things respectively. Neither has made they're way into the international stream because the existing hard copies of the previous versions were never sold out. Its a shame because the remix of Best thing to Come was a huge improvement over what is currently available on iTunes Amazon and CDbaby. If you see a white sleeve with this printed on your CD you have the latest versions. If you have the old versions and want to update, give me a shout out on Facebook. That appears to be where all the attention is and is making keeping up a separate homepage for MST a bit redundant. 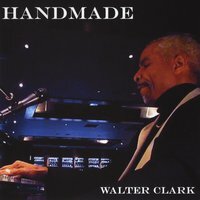 The new CD, "Handmade" was released today week in Japan! These are my first live recordings at my regular job in "Sandaya" in January 2012. I was using portable recorders and did my best to get a good sound but in my next CD I will probably use a more sophisticated setup. There were over 50 tunes, mostly requests from customers and these were the only ones that had the least noise. Although some of the audio was damaged by noise I know these are some of my fans' favorite songs so I decided to release this anyway for them. I promise to do better next time. I learned a lot from this experience and will continue to improve. Final digital encoding for the master copy. It has taken a long time, obviously, the mixing has been a nightmare because this was recorded with a handheld recorder and not a mixing deck. The intermittent noises have been extremely difficult and time consuming to edit down or out as this whole field of post production noise reduction is new to me. Sometimes just editing a few seconds has taken hours, even days! In post production, refining final mixes...closer to a final product than ever before. Next time I'll use a mixing recorder and have a much better sound. Also my head is in a much better place now. During the last full week of February I will be in Tokyo for two dance concerts. Two songs from Many Splendid Things will be the opening performance of the show. The owner of the company is giving this performance in honor of one of the former owners who is now deceased and loved these two songs : Tennessee Waltz and The Very Thought of You are two of his favorites. Will make sure to take some pictures and include them soon, as time permits. The new album contains more photographs with more vivid color as well as some personal words of thanks and explanation in Japanese and English. Three songs were remastered, Sweet Lorraine, We're All Alone, and Fly me to the Moon were given a more smooth sounding compression as well as some other subtle improvements. Same CD, just sounds and looks better!! This latest edition does not appear on iTunes or any other download source because it is only available in the CD version, so if you want it, buy direct either from me or the folks at Sandaya. As for downloads, I'm not talking about mega-downloads or anything but the title cut is the most downloaded of all tunes from all albums. The CD itself is still a hit here. People love the cover, and the cover tunes and it continues to sell well. The latest press, especially is sonically much better than the original release. I've been listening to it again and again searching for areas that could be improved on the next press and its a tough call. Maybe some different EQ settings on a couple of songs, and maybe some level changes on a few seconds of the soloing instruments and vocals, but the mix itself stands the test of time pretty well...which is kind of cool since it can't be remixed anyway. It can only be remastered. Things can be added, but its hard to take away things that are already there (if that makes sense to you.) For those interested in comparing MP3 versions, all of the sound samples on this page are from the first press. All sound samples on commercial pages like CDbaby, Amazon, iTunes etc. are from the latest press. After a careful review of over 50 songs that were recorded live at Sandaya this year I have also begun the process of starting to put together the next album, a collection of the most outstanding performances of those sessions. I've taken some time off from hotel work in order to work on this, along with catching up with my plans to have some video out there. Until I can put together a new team of managers or partners of some kind, all of this work has to be done solo, so I've just tightened my belt and stopped working outside as much. There's too much to do here. Anyway its nice to have a break from working 6 days a week. I'm only working 4 days outside now, even though 2 of those days are double jobs its quite a feeling of freedom...and there's more time to spend with my children. Also another project is the works which I will speak about in the future. Best to you all and thanks for your love and support! Its good to be recognized by a fellow good music lover, and Lon McQ seems to like our latest, "Best Thing to Come." Time for a ticker tape parade! The remastered version of Many Splendid Things has been finalized for digital distribution and is now in queue to be delivered to our digital partners. Each of our digital partners has a unique timeline for accepting new content, so delivery schedules will vary. If you're primarily concerned with iTunes, you'll be happy to hear that we'll send your music to them within two business days (if we haven't done so already). Though we can't guarantee anything specific on their behalf, iTunes will generally make the music live for sale within a few days of delivery. We expect the new CD to be available in Japan sometime within the first week of October. New downloads and physical CDs should be available worldwide within a week from its arrival here. The old version of the physical CD was incompletely mastered. When a CD is inserted into a player "unknown album/artist" comes up. There is no info about track names either. We want future physical CD customers to have easy access to that information, which is contained in the remastered version. Also the remastered version was run through a series of analog processors to give it more punch and to somewhat ameliorate the harsh digital sound that characterized the original recording (which, in spite of these deficiencies has sold out twice.) We also want any future purchasers of the MP3 version to have access to a better sounding product. We just don't see any advantages to keeping the old version of the same MP3 up. It seems like it would just create unnecessary confusion. Now that the second press of Many Splendid Things has been sold out, it seems like a good time to re-master the CD before re-releasing it. There were a few things that could have been done better during the final process before it was released, and although those issues weren't properly addressed by the so called "mastering engineers," my own training and insight since then, should be enough for me to do the job and give future customers a better sounding product. So, before the next new release (still planned to occur this year) there will be an enhanced version of MST, and it will probably be on sale in late September or early October 2011. Not planning to re-record anything, just give it a more warm and professional sheen. So far, this album has been a best seller, but I want to continue to improve it and help it to stand the test of time. Best Thing to Come - Walter Clark This week's favorite "Best Thing to Come" story comes from Neal Yermish of Israel: "Walt, I drove to Beer Sheva & back with my wife today (90Km round trip). I put your CD on. On the way there she was too busy on the cell with one friend or another, but on the way back, at about track 8 she asks, "Who is that singing? He's got an amazing voice!" Two tracks later, "I love this music!" And by the time we got home she told me to buy some more to give as gifts." How are you? I received the two books and your CD on Monday morning. you with my questions if you don't mind. Thanks again for everything. We expect to have it available in iTunes Amazon and the major retailers by the end of July. ITunes will be the first to release. Blending elements of lounge, new age, ethnic, jazz, pop, rock, and gospel music. New songs and new arrangements of earlier songs, Intimate and laid back, smooth vocals with thoughtful and uplifting lyrics. No pitch shifting or fancy computer tricks, no "filler" songs (they were all deleted before the final pressing,) and over 94% pure analog recording. This is an album that took three years to produce and almost never saw the light of day, and it only saw the light after extreme sacrifice, literally hundreds of remixes, and untold hours of study, analysis and rehearsal. Its not a "perfect" work, in the sense of today's computerized, cookie-cutter productions, in which every note and beat is rigidly alligned to a grid. Its more of a work of Art. A pleasure to listen to but its not a casual work. Its meant to be a statement. And it definitely lives up to the billing! Master disk is complete now. Fine-tuning cover artwork in preparation for first pressing. Success seemed to come just past the point of giving up. The most intense session was a couple of weeks ago. Everything had long since been recorded, but finding the right mix and mastering levels was maddeningly difficult. I work 6 days a week, and some of those days include an afternoon and a night job which requires travel to Osaka. Usually my day off is Monday. So Sunday night after returning from the job and having dinner I decided to go at it and not quit until I had an acceptable master disk. Too many people are waiting for this. I started mixing at 10:30 and by 1:30 in the afternoon Monday it was finally ready. It was exausting but rewarding. Everything else since that point has just been fine tuning a couple of songs. It takes years and years to be a successful mastering engineer, but at least after so much hard work the master sounds a lot better than the original recording...which is my measure of success. It has taken so long, but finally this week, mixing and most of the mastering of this CD is complete. I've listened to it hundreds of times and fine-tuned thousands of details. Its not the kind of work that appeals to me. My love is for performing to live audiences, and I've already decided that the next series of CDs will be just that...live recordings, but doing this production has help me grow in a lot of ways. I took a course on being a mastering engineer, read several books on mixing and listened to the opinions of some of the top mixing engineers, music producers and learned a lot from lurking around many internet forums. Instead of my usual lone wolf approach, I've sent out a couple of tracks to friends who produce and submitted myself to their criticim and advice, which has helped a lot. Also, my rather old school method of not relying on the computer to digitally fix things has allowed me to continue with my own signature sound albeit in a much richer tonality and color, thanks to a few well thought out upgrades to the equipment. And repeatedly singing parts until they were as good as possible has helped my confidence in producing.....somewhat. At least it has helped me improve my live performance quality, and that is where the gold is really at, in my humble opinion. This CD almost failed. Halfway through it I had a falling out with my lady and decided to leave Japan completely. But after a few weeks of experiencing the dismal situation in America it was a relief to get back here. It took a few hard months before I could re establish myself in the music scene here, but during that time of partial unemployment, work on the CD really took off. Several songs were cut for various reasons, so its down from 17 songs to 13. Four of those are originals. There's a new version of "Perfect Love" that is really in the pocket. There's not a single song on this album that I would consider "filler," not a song that I didn't thorougly enjoy performing, and not a song that wasn't carefully scrutinized second by second to the finest detail. Thats not saying its perfect. Its art. If it were perfect it probably wouldn't be very interesting, now would it? Its coming into shape now and even an cover has been put up. Songs, more than enough, some of them entering post production phase. There were some fortunate equipment breakdowns that enabled me to upgrade some critical pieces. In the process I discovered new ways to produce a more clean warm sound that will serve these recordings well.